Praise dancewear, worship dance attire, Dance Fashions Warehouse, worship dance dresses, praise dance dresses, christian dance wear, mens and boys praise wear, praise tunics, praise overlays, liturgical dance dresses, worship pants, worship tops, flamenco dresses,spirutial dance wear, cheap praise wear in Atlanta. - The Big Tip. THIS IS LARGER VERSION OF THE JELLY TIP. 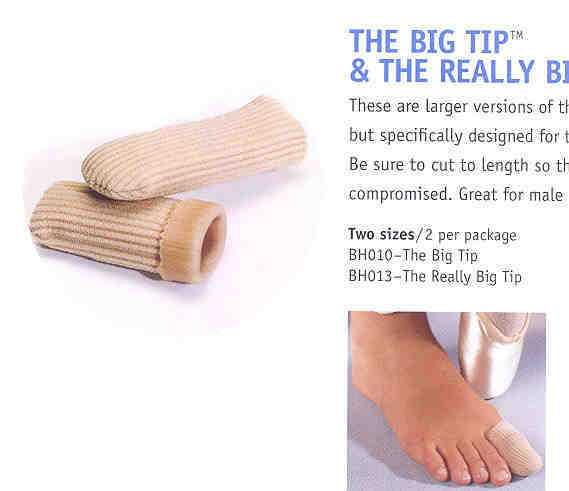 SPECIFICALLY DESIGNED FOR THE LARGE TOES.